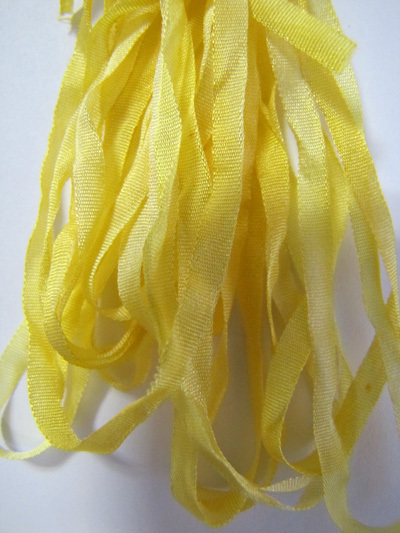 Hand-dyed 100% silk ribbon sold by the card with 4 yards per card. It is used for silk ribbon embroidery, cross-stitch, needlepoint, crazy quilts, scrapbooking, doll costuming, book & fiber arts, and more. Dye lots vary in color.